Vintage Computer Festival South East 2018! 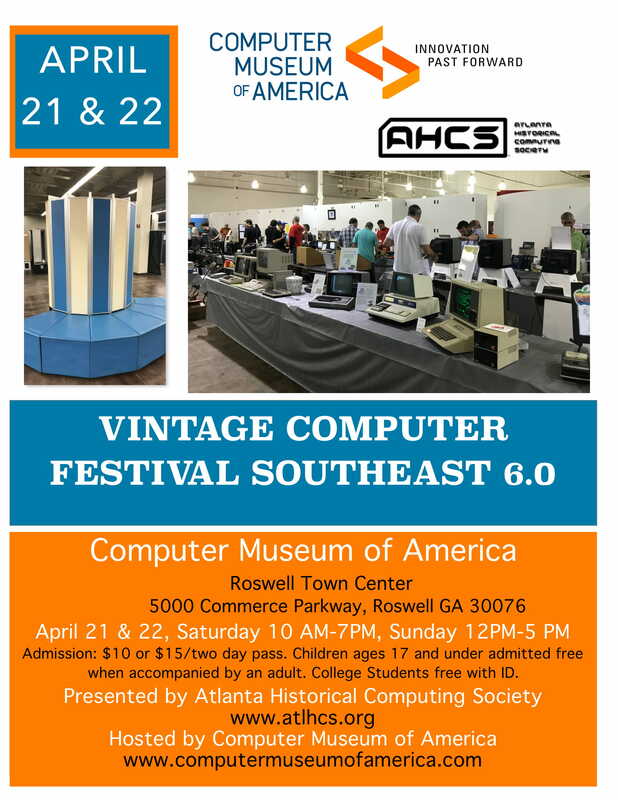 The annual Vintage Computer Festival South East is being held in Roswell, GA the weekend of April 21st! Hope to see some folks there! This is being held in our NEW museum facility - which is under construction but you can get a sneak peek at the new facility AND have a chance to poke at cool vintage computers and electronics all at once!